Free Flash Games: Paper Toss - Toss it ! 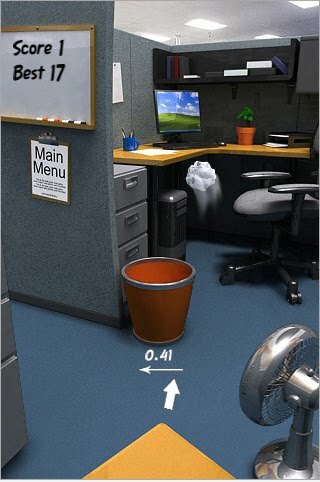 Paper Toss - Toss it ! Trash can is target for your shoots. The white arrow on bin shows you wind speed and direction Click and release paper when arrow (on paper) is in the right direction to throw. Very addictive free flash game.